This old gold miners' road is being revived as a tramping and mountain biking track. It traverses native forests, tussock tops, river flats and valleys with stunning views of the magnificent Mokihinui Gorge and surrounds. Follow the forgotten 19th century county dray road as it winds its way towards the Lyell Saddle (875 m). For mountain bikers wanting an early start on the trail the Lyell Campsite offers a convenient camping option close to the trail start. The Mokihinui Lyell Backcountry Trust have built a hut at Lyell Saddle. Book by visiting the Old Ghost Road website. From Lyell Saddle Hut continue another 6 km through bush to the top of the Lyell Range. Travel a further 6 km along predominately open tops that offer dramatic views before arriving at the breathtaking Ghost Lake Hut site. Sitting at 1200 metres the views are a highlight from this stunning setting. The Mokihinui Lyell Backcountry Trust have built a hut at Ghost Lake. Book by visiting the Old Ghost Road website. Check your brakes before departing from Ghost Lake Hut as the trail descends almost 800 metres over the next 13 km to Stern Valley Hut. The first 4 kilometres is the most technical of the entire trail reaching Grade 5 in places - be prepared. At the end of the breathtaking Skyline Ridge you reach the Skyline Steps. You need to carry your bike down 60 metres of narrow and winding steps, before descending into Stern Valley. The Mokihinui Lyell Backcountry Trust have built a hut at Stern Valley. Book by visiting the Old Ghost Road website. From Stern Valley Hut the trail meanders on up through the interesting Ernest Valley, a tributory of Stern Creek. Some 'earnest' climbing is again required to get over the saddle that allows passage into the Goat Creek catchment and on down to the confluence with the Mokihinui River South Branch. Note that Goat Creek must be forded to reach the hut. This crossing may be hazardous or impassable in times of elevated creek flow or flood. 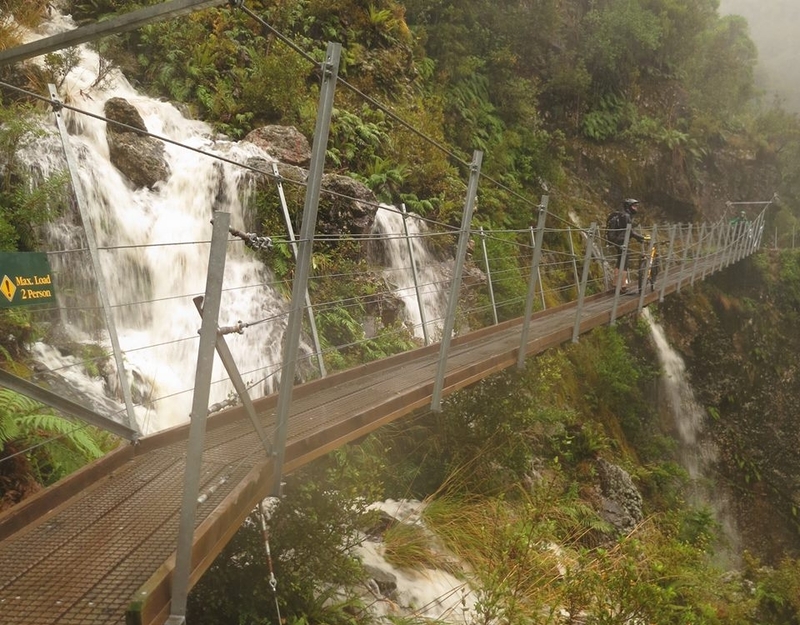 Travel through towering podacarp forest to reach the Mokihinui Forks Hut. From the Mokihinui Forks Hut turn left down into the head of the Mokihinui River Gorge. The Mokihinui Lyell Backcountry Trust have built a hut at Specimen Point. Book by visiting the Old Ghost Road website. From Specimen Point Hut, the Mokihinui Gorge shows the way to the sea. The old miners' road is rejoined for the virtually flat journey out to Seddonville through the spectacular Mokihinui River gorge. The southern end of the Old Ghost Road starts at the Lyell Conservation Campsite (State Highway 6) in the Upper Buller Gorge, a 50 minute drive from Westport. The northern end of the Old Ghost Road finishes at Seddonville, 50 km north of Westport on State Highway 67. Bookings are required for the huts managed by the Mokihinui Lyell Backcountry Trust: Lyell Saddle, Ghost Lake, Stern Valley and Specimen Point huts. To book, visit the Old Ghost Road website. Bookings are not required for the Goat Creek and Mokihinui Forks huts, which are managed by DOC and are available on a first come basis. The Old Ghost Road traverses rugged and remote terrain ranging in altitude from near sea-level to more than 1300 metres. Metservice’s mountain and/or rural forecast. The Outdoor Safety Code’s simple 5-step checklist for staying safe in the outdoors relates to these activities. Ranger Don Herron shares with us his ride along the “marvellous” Old Ghost Road—one of New Zealand’s premier multi-day single track rides. 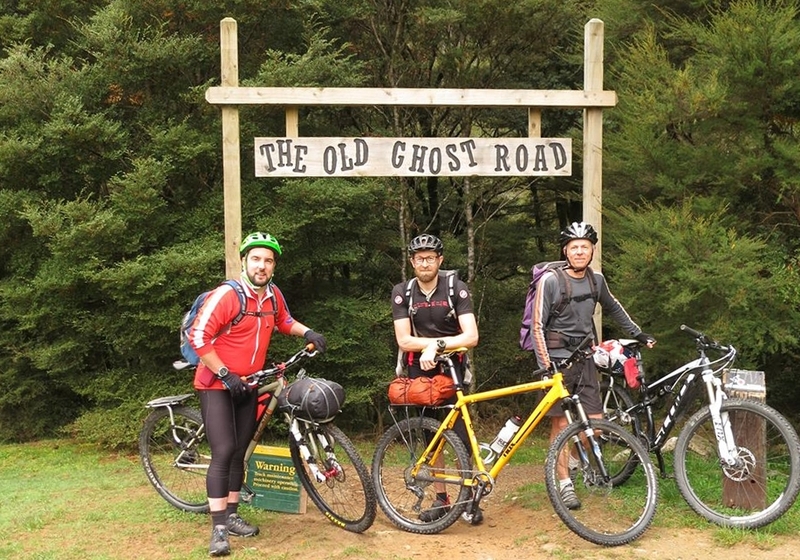 Ranger Don Herron shares the second part of his ride along the “marvellous” Old Ghost Road—one of New Zealand’s premier multi-day single track rides.